Shane McElrath qualified fastest in the 250 class and his bike was only clean for a lap because he was out in front of the qualifying session. 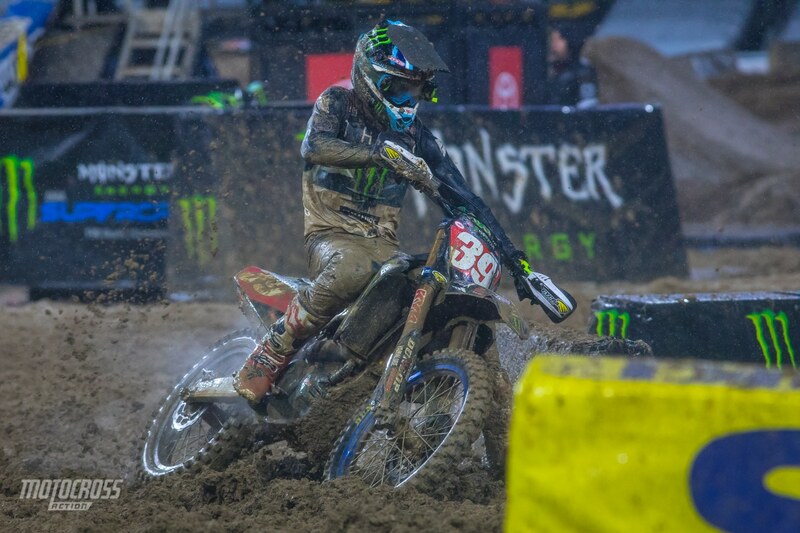 Round five is officially underway in downtown San Diego at Petco Park and it’s going to be another interesting night for Supercross! 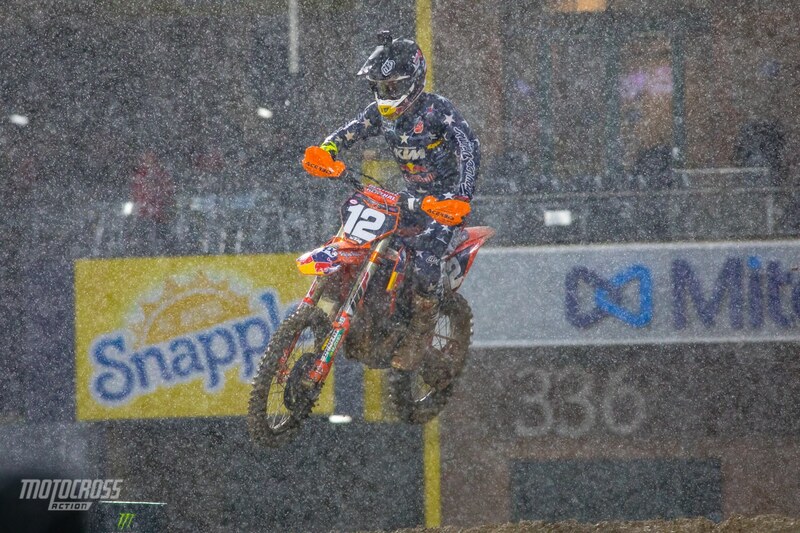 The schedule was altered and the riders only were able to ride the track one time and it was for qualifying. Shane McElrath got out front of the qualifying session and with some open space and free of roost from other riders, he grabbed the fastest lap time. If you haven’t seen it yet, check out our muddy track walk gallery to see the riders first reactions to the track and keep checking back in with us throughout the evening for results, news and photos from San Diego Supercross. Dylan Ferrandis qualified second, only one tenth of a second behind Shane McElrath. 250 points leader, Colt Nichols qualified seventh. 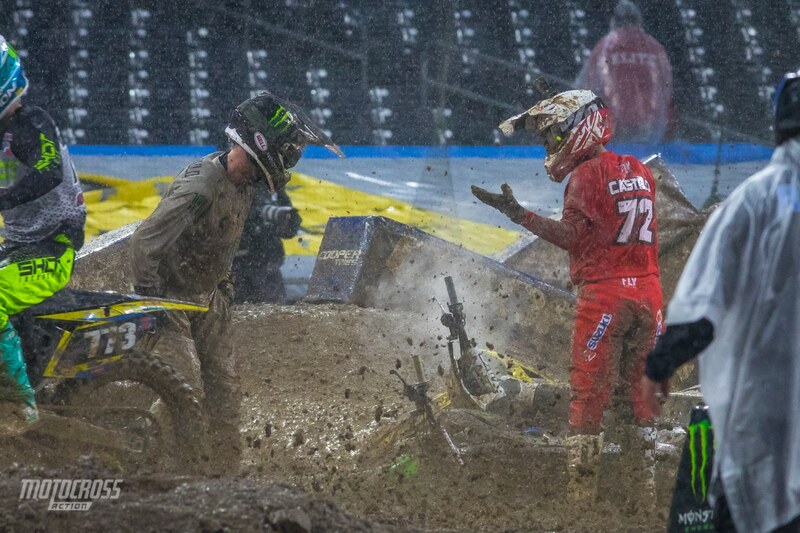 Martin Castelo and Adam Cianciarulo tangled and went down.